The new Alpencolor Tonale Hotel is situated at 1883 metres above sea level at the resort of Passo del Tonale. 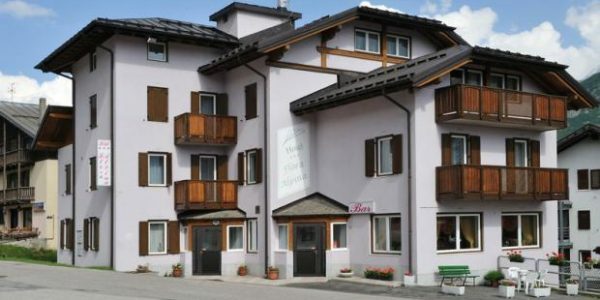 The hotel is located in the centre of the ski resort, right opposite the Valena cable car, which takes you to the ski slopes in the Tonale-Ponte di Legno ski area. Arrive in Trento (if coming from the south) or preferably Mezzocorona (if coming from the north). Then catch the Trento-Malè train to Malè and take the regular coach to Passo Tonale. Take the Brennero (A22) motorway to Trento if coming from the south, or to San Michele all’Adige if coming from the north. Then take the SS 43 (Via Mezzolombardo, Cles) main road, and then the SS 42 (Via Malé, Mezzana, Passo Tonale) main road. The international airports nearest to Passo Tonale and the Val di Sole are: VERONA (180km); MILAN LINATE (195km); MILAN MALPENSA (234km); BERGAMO ORIO AL SERIO (190km); (VENICE (300km).